The Yamaha MT15 has been launched at Rs 1.36 lakhs, a price which is significantly high. After years of waiting, Yamaha finally launched the MT15 in India on March 15, 2019. Thanks to spy shots and leaks from dealerships, it was clear that India was not getting the international-spec MT15, but a watered down variant with missing features. What surprised waiting fans even more, was the price tag. Yamaha MT15 has been priced in India at a staggering Rs 1.36 lakhs, ex-showroom. Compared to the international variant, the Indian variant does not get USD forks in the front, no dual ABS, no colourful alloys, no pirelli or metzeler rubber, less contoured fuel tank, etc. 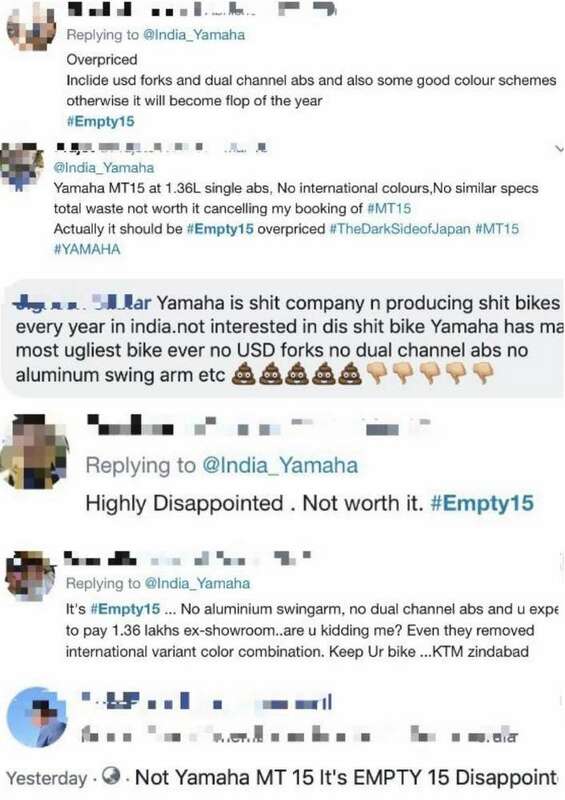 With so many missing features, many angry fans started calling the MT15, Empty 15 on social media. MT15 is a part of the Yamaha’s ‘Call of the Blue’ campaign under which the R-Series, FZ Series and MT Series are offered. It shares several of its components with existing Yamaha bikes in India. Sharing of parts, local manufacturing and several other cost cutting factors made many believe that MT15, when launched would bear an affordable price. However, price announcement at the launch event left enthusiasts aghast. A price tag of Rs.1.36 lakhs, ex-sh was way over expectations, leaving spectators in complete silence when applause was expected at the price announcement. MT15 costs 3k less as compared to its fully faired counterpart with dual channel ABS – the R15 V3. Yamaha MT15 is presented in two colour options of Metallic Black and Dark Matt Blue, and features a LED headlamp and tail lamps, along with a fully digital instrument cluster and black finished alloy wheels. 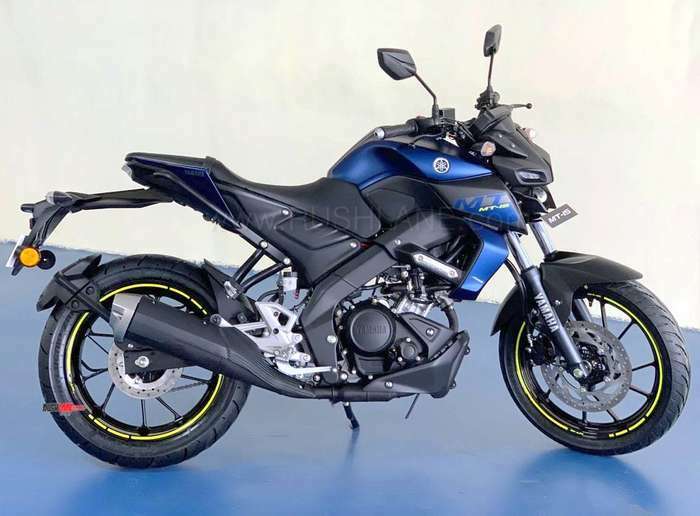 New Yamaha MT15 is powered by a 155cc, liquid cooled, 4 stroke, SOHC, 4 channel, fuel injected engine with Variable Valve Actuation offering 19.3 PS power at 10,000 rpm and maximum torque of 14.7 Nm at 8,500 rpm mated to a 6 speed transmission. It receives a single channel ABS system, telescopic front forks and braking via 282mm disc brake at the front and 220mm at the rear. Deliveries are slated to commence from April. 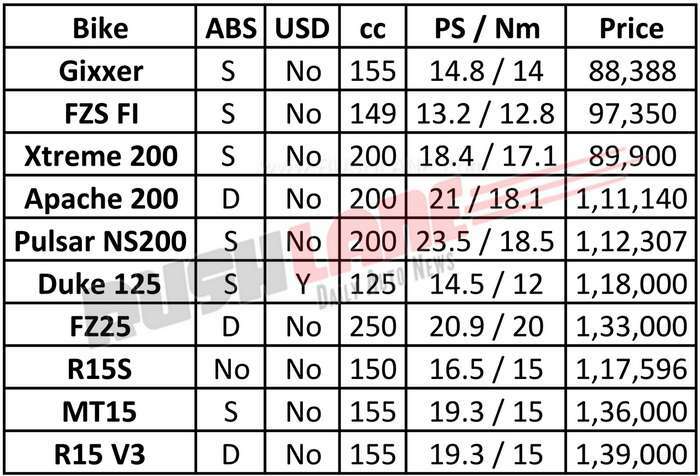 MT15 price tag is even more emphasized when compared to rivals such as the KTM 125 Duke (Rs.1.18 lakhs), TVS Apache RTR 200 4V (Rs.1.11 lakhs), Yamaha FZ25 (Rs.1.33 lakhs) and Bajaj Pulsar NS200 (Rs.1.12 lakhs).